DETROIT (November 1, 2010) ­– In a rare public performance, Skeleton Crew® will appear and perform live on The Mitch Albom Radio Show, Tuesday November 2, 2010 at 6 pm on WJR-Radio AM 760. The band will perform their version of The Beatles “I Am The Walrus” which they released as a free MP3 download to celebrate John Lennon’s 70th birthday. 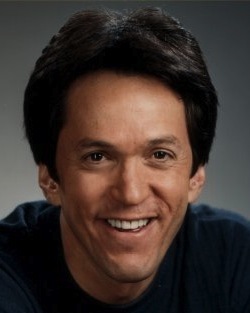 Mitch Albom is a bestselling author, a nationally acclaimed newspaper columnist (with the Detroit Free Press) a radio host (with WJR-AM) and a television commentator (with ESPN and ABC.) His well-known book, “Tuesdays With Morrie”, is now the best selling memoir of all time, with nearly 10 million copies sold worldwide. Albom, along with playwright Jeffrey Hatcher, adapted the book into a hit play, which opened off-Broadway late 2002. That play is currently being performed in regional theaters throughout North America. 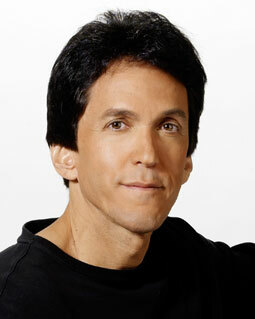 Albom’s first novel, “The Five People You Meet in Heaven” was published in 2003 has been on the New York Times bestsellers list for more than a year. With a screenplay by Albom, “Five People” has been adapted into an ABC movie starring Jon Voight, Ellen Burstyn and Jeff Daniels. “We can’t thank Mitch enough for the opportunity to help promote this positive message on his radio show,” said Pilipchuk. The broadcast can also be heard streaming on the Internet at http://radiotime.com/station/s_29965/WJR_760.aspx. After downloading the Free MP3 of I Am The Walrus, Skeleton Crew® encourages everyone to visit Yoko Ono’s website, Imagine Peace, at http://www.imaginepeace.com to see how she is utilizing the Internet to spread positive messages. Visitors to the site may find some inspiration on how they, too, can help change the world. As Jim Morrison so eloquently put it: “This is the end”…of the Palace of Auburn Hills Concert Series. We hope you’ve enjoyed watching the videos over the past few weeks as much as we’ve enjoyed bringing them to you. Skeleton Crew® would like to send the love out to our harmony partner, Connie Marshall, who made this concert and the video footage you’ve been watching a reality. We love you Connie! And, we happen to love to love this song, “Lost My Way.” Njoy! 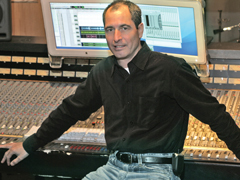 The recording sessions for “Faith,” Skeleton Crew’s contribution to the Christmas in Detroit 3 project, began on 09/09/09. There was a palpable energy and vibe in the air that was felt by everyone involved. We had the pleasure of working with Grammy Award winning record producer, Mark Pastoria, and Pastor Henry Covington who brought in the choir we incorporated for backing vocals on the “Faith” recording. Pastor Henry is featured in Mitch Albom’s new book, “Have a Little Faith.” The choir was both inspirational and perfect for this song; they weren’t professional singers, but a group made up of diverse individuals who in some way or another ran into varying degrees of hard luck in their lives. These beautiful individuals, with the help of Pastor Henry and others, have managed to turn their lives around for the better. They have gone on to help and inspire others. It was during the subsequent recording session to record this choir of hope that we had the pleasure of enjoying a break from recording to talk to one of the choir members. During our conversation about the overall recording experience, the topic returned to the song “Faith” and its meaning. It was at this moment that the individual we were speaking with offered to share a story that moved us deeply and one we will never forget. The choir member revealed that there was a time in the not-so-distant past where they had slept in a cardboard box outside of the very recording studio in which we were working. This candid individual lived to party and often frequented Lola’s, the nightclub that occupied the first floor of the building that housed Harmony Park Studios, located in the newly revitalized Harmonie Park area of Detroit. This person eventually dug down deep for the courage and pulled themselves up and got their life moving in a positive direction through the help of people like Pastor Henry and others. Then came the point in our conversation where this individual told us that they were about to leave the mission that helped them get their life in order and where they worked helping others. This person did not share with us whether they were leaving to become the denizen of despair they fought so hard to conquer or if they were leaving to pursue other opportunities. It was at the time the choir member was about to announce their departure from the mission when Brian, the talented choir director, handed this person the lyrics to our song, “Faith.” They had not heard a note of the music nor had they ever heard of the band Skeleton Crew before. The choir member told us that immediately after reading the lyrics they were so moved they changed their mind and decided right then and there not to leave. The lyrics moved this person so much they felt this was their reason to stay on at the mission and continue helping others. Speechless and holding back tears we thanked this individual for sharing their very personal story with us. The reward for writing and recording “Faith” has exceeded even our greatest expectations. To have a song like “Faith” or something you’ve created affect someone so much to the point it alters their life course and steers them in a positive direction is priceless and worth every effort in its production. Skeleton Crew would like to thank Brian and Mark Pastoria for generously inviting us to participate in this incredible musical journey. We would also like to thank our engineer Alan and everyone at Harmonie Park Studios for making this one of the most memorable recording experiences of our career. Here’s to working together again soon and Merry Christmas to all! PS: Help the homeless in Detroit and enjoy some great music by purchasing Christmas in Detroit 3 at http://www.christmasindetroit.org.